By Monday, I’d recovered enough to make a more adventurous trek around the city. 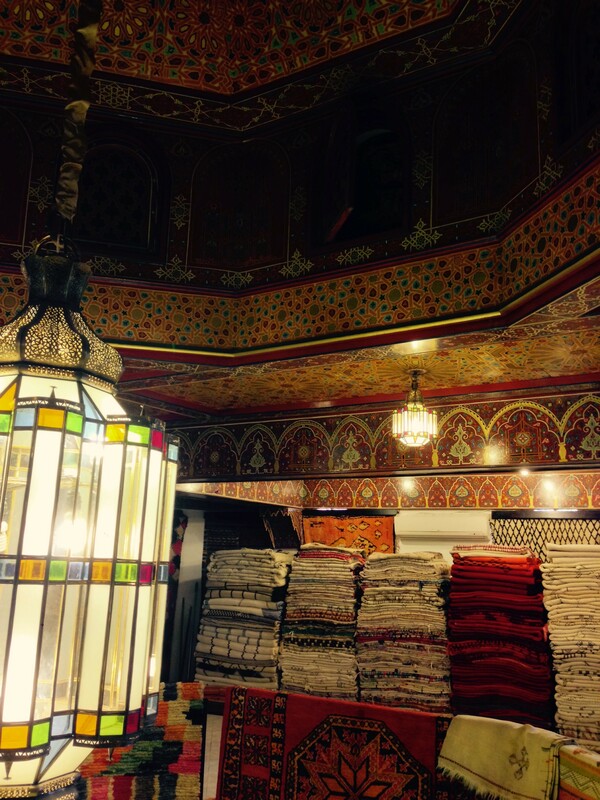 Scouring travel websites and blogs while bedridden the day before, I found myself interested in hiring a tour guide for a few hours to gain an insider’s perspective of the city (and honestly, to help navigate the maze of the souks). 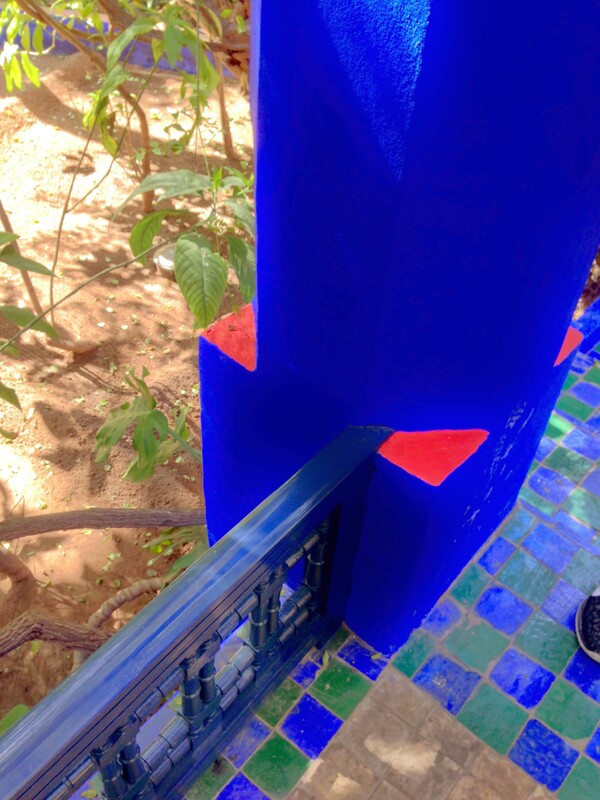 I came across this post and was intrigued by the custom experiences that Khadija offers, so I sent her an email on Sunday night with a plea to show us Marrakech from a local woman’s view. I woke up far too early (for a vacation schedule – 8 am) on Monday morning, and as luck would have it, Khadija had written back to me with a few ideas (and links to blog posts) on what she could offer. 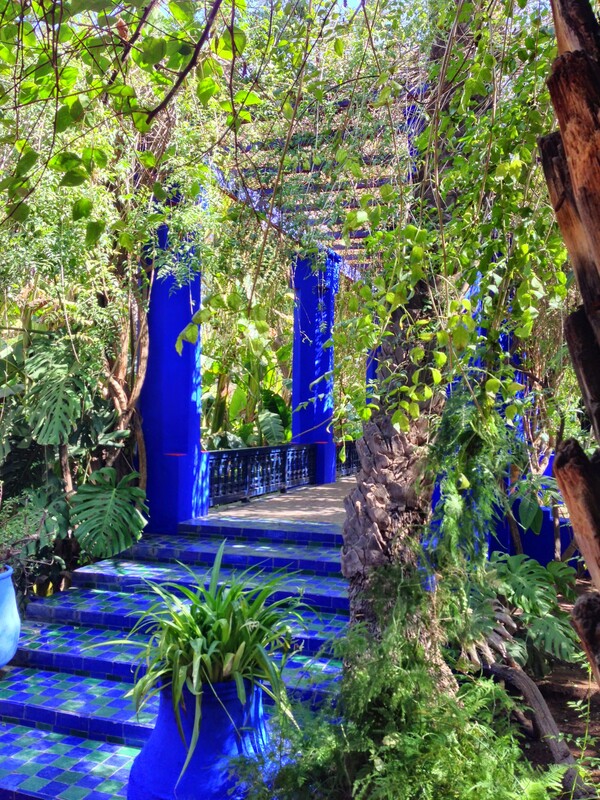 My wish list included a trip to the Jardin Majorelle, the Medersa Ben Youssef, and of course, some shopping. I added that this would probably be too ambitious for an afternoon tour, and wrote that I’d appreciate anything and everything she could show us. 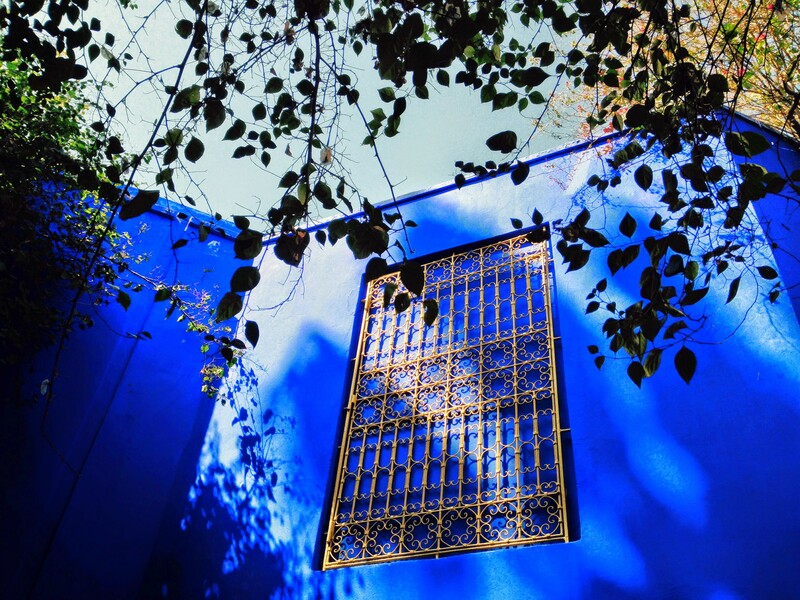 We started off in the Jardin Majorelle, and I immediately felt like an impoverished student in my jeans and sneakers and gigantic Trader Joe’s tote, next to the glamorous guide. It turns out she often shows diplomats around, speaks at worldwide events (on what it’s like to be a Moroccan woman in a sort-of-Arab, sort-of-not culture – far more complicated than I can explain, I’m sure), and has given tours to the likes of Gorbachev and his daughter, and Tom Cruise’s family (and now us). Our guide gave us wonderful insight on things we wouldn’t have learned on our own (or, at least without hours of research) such as why everything in the gardens was this vibrant shade of blue (I don’t remember), why Berber is sort of a derogatory term for the indigenous people of the country (hint: the fact that it’s so similar to “Barbarian” is not a coincidence), and why you should always bargain for at least 1/3 off of the asking price of anything (probably because they mark it up 1/3 for tourists, in hindsight). The next stop was the Medersa Ben Youssef, the largest Islamic college in Morocco (thanks Wikipedia) and now a historic site. The architecture was stunning and the quiet, shaded courtyard provided a welcome relief from the afternoon shopping crowds. Somehow, we managed to check off everything on my list, and more – we met wonderful shop owners, stopped by a diasbled women’s collective that sold handmade bags and other cloth items (I picked up a bracelet and tea cozy shaped like a chicken – you know, something every Moroccan tea pot needs around its handle). 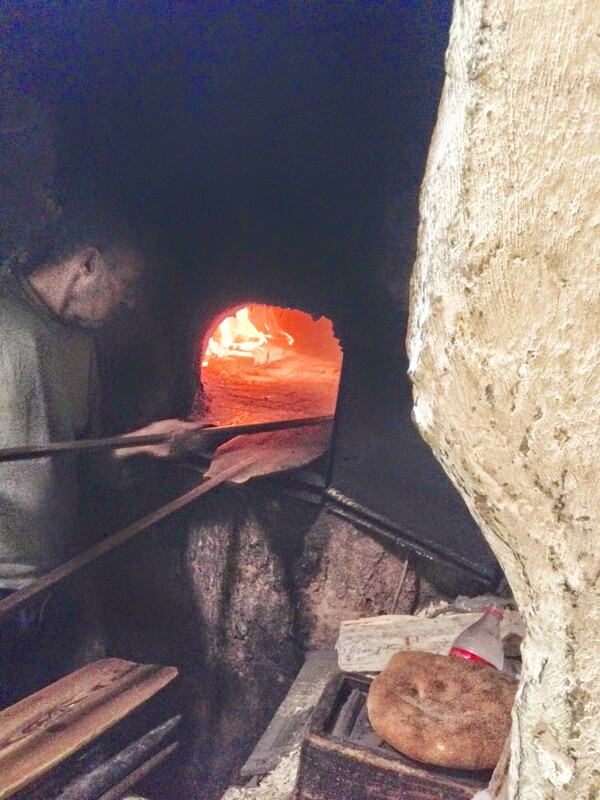 (This was an unexpected detour between shops – we got to see the communal oven where families bring their dough to be baked into bread. What a nice idea). John talked me into buying a rug — sorry, not a mere “carpet,” as our salesman stated, but a “piece of art.” To his credit, all of the rugs were beautiful and unique, and once we take ours out of its carefully protected package, I’m sure we will treasure it for the rest of our lives. Or at least until the cat destroys it. 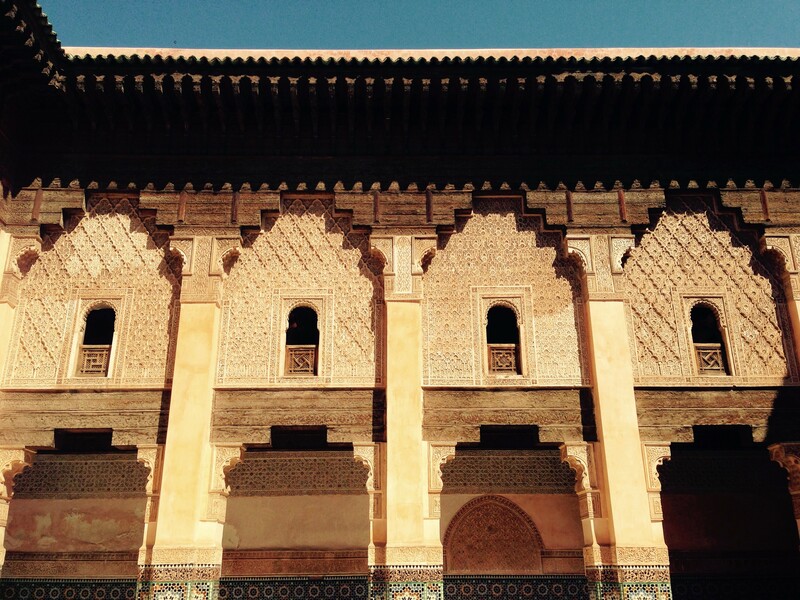 Khadija dropped us off at the “Big Square,” the place you read about in every other article about Marrakech. This is the famous marketplace with its snake charmers, monkeys for sale, vendors hawking freshly squeeze orange juice side by side in neat little rows. Her parting words were something about not taking our health for granted, and wishing us luck three times in a row. Honestly, I don’t remember what she said because the whole day had been a little overwhelming in terms of its sheer beauty, sights and sounds (and flavors at the terrific Terasse des Epices in the spice market). The luck stayed with us, though, particularly as my bike was stolen (and recovered by my neighbor) the following day at home. And when we somehow got a free checked bag on the way back to London. But another instance of luck, not to be overlooked by the more dramatic examples, was simply the experience we’d been given that day and the memories we’ll carry with us far beyond those five days in Morocco. 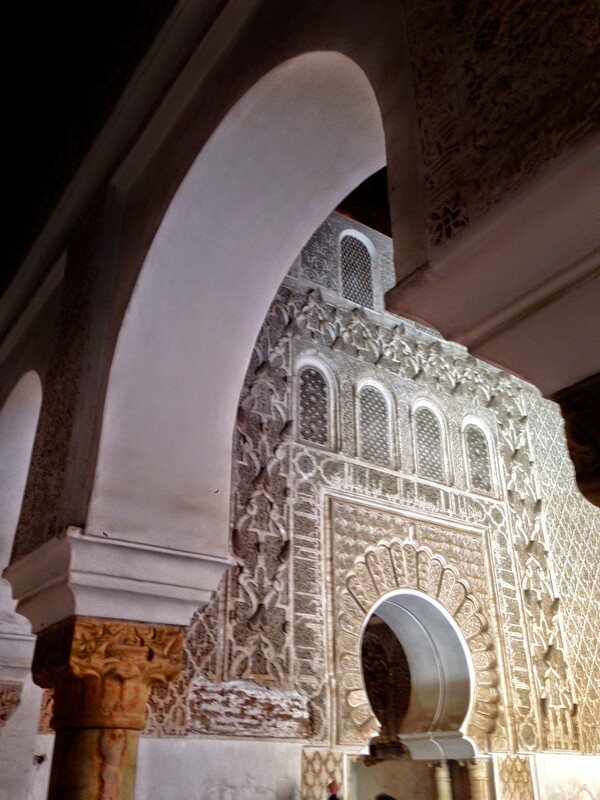 Coming up: a day in Essaouria, the white city, the fishing port, and the backdrop to Game of Thrones Season 3!